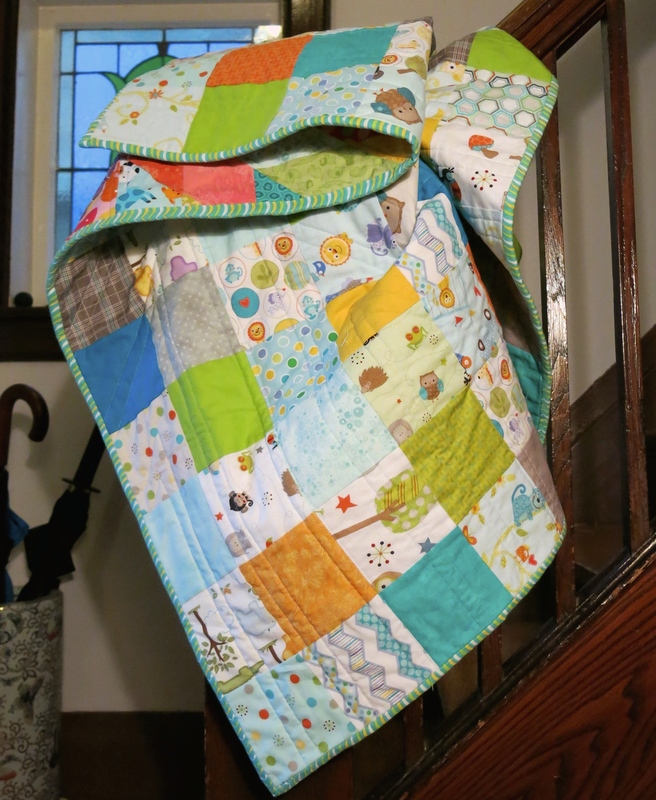 I have finally finished (and taken pictures of) a baby quilt for a friend. I’m working on improving my quilt photography, so please forgive some of the images – I don’t quite have the hang of perfecting the colours and lighting yet. I started off with a simple square pattern. The quilting is more visible in the second picture. I wanted to do something fun for the back, and used this post (by Better off thread) as inspiration. I’ve wanted to try a lone star pattern for a long time and thought I’d use this opportunity to attempt it on a smaller scale. The image below is a better representation of the colour. This is the best picture showing the actuals colours of the fabric. I managed to make use of the last remaining day light, which seemed to help. I joke that it’s the ‘mullet quilt’: business in the front and party in the back! 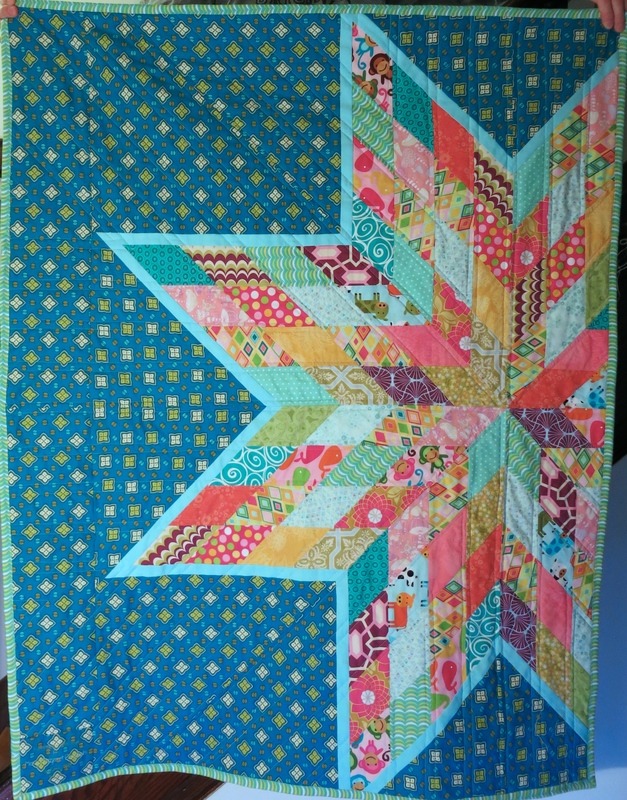 It is finished off with quilting along the star pattern and a hand-embroidered label. 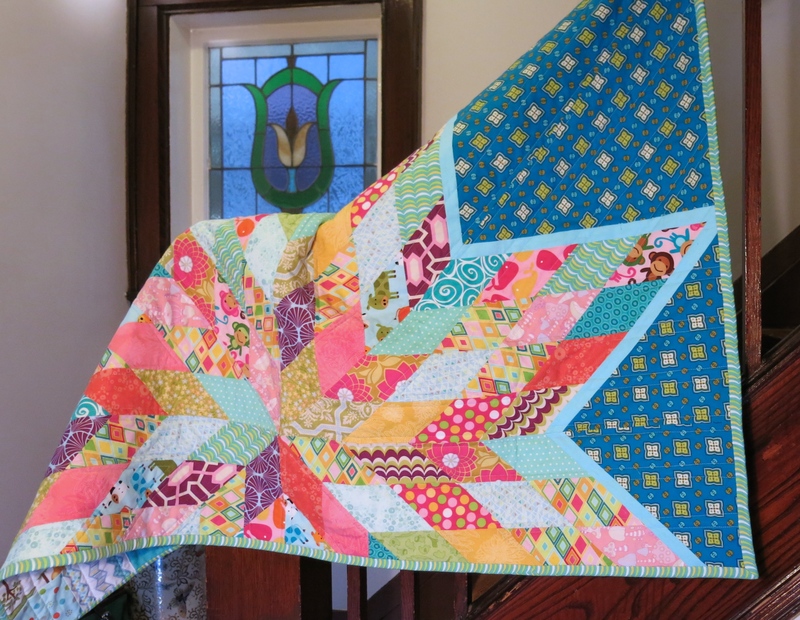 Two sided quilts are so much fun! 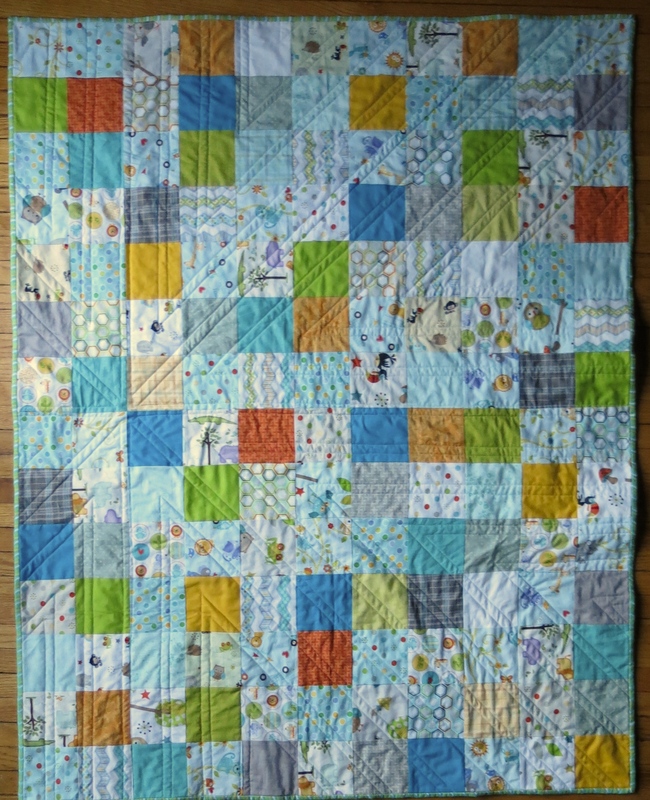 Emily, The baby quilt is beautiful. I am sure that she will have many hours of cuddling with it and playing on it. A beautiful job! She seemed to like it as much as a four month old can! The colours really captured her attention. I LOVE the lone star on the back! Looks great Emily. I love the lonestar pattern – I’m really happy that I was able to incorporate it! 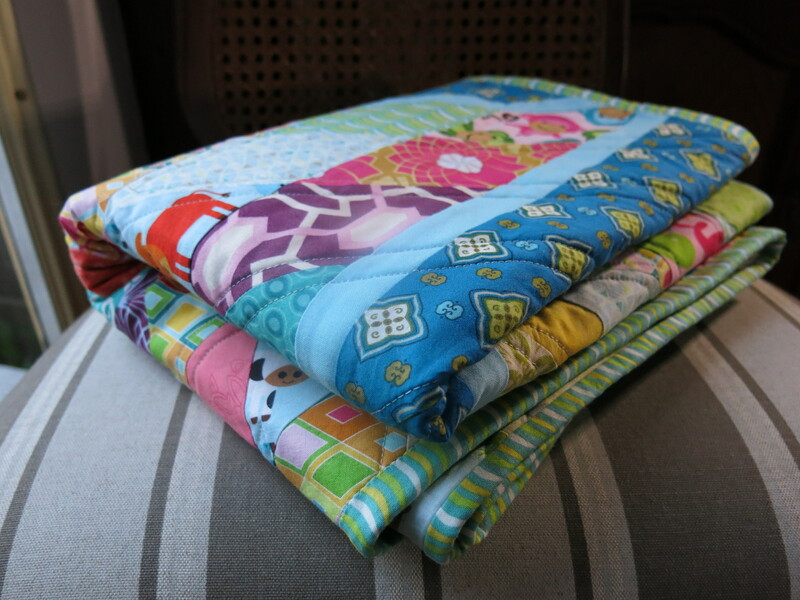 How wonderful to share quilting, crafting and blogging with you family members. Best wishes from Jenny who lives far away in New Zealand . Thank you for the wishes! It’s great to hear someone from the other side of the world!